Article 1: These Provisions are formulated on the basis of the "People's Procuratorate Organizational Law of the People's Republic of China" and other relevant laws, together with actual circumstances of procuratorial work, so as to strengthen and standardize procuratorial organs' case guidance work, to bring into play guiding cases's function in modeling and leading case-handling work, to promote the procuratorial organs' strict and just judiciary, to ensure the uniform and correct implementation of laws. (4) It manifests the functions of procuratorial organs, obtaining positive political, legal, and social effects. Article 3: The style and layout for guiding cases is to generally include sections such as the title, key words, main ideas, basic case facts, the course of procuratorial organs performing their duties, the guiding significance, and relevant provisions. Article 4: In publishing guiding cases, attention shall be paid to guarding state secrets and trade secrets and protecting the privacy of persons involved in the case. 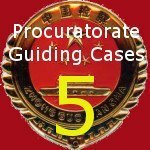 Article 5: The provincial people's procuratorates are responsible for the work of collecting, organizing, reviewing prospective guiding cases within their respective jurisdictions, and recommending them to the Supreme People's Procuratorate. People's procuratorates or procurators handling cases may recommend prospective guiding cases to the provincial people's procuratorates. Where upon preliminary review, the Supreme People's Procuratorate finds that a recommended case may be a guiding case, it shall notify the provincial people's procuratorate that recommended the case to send the case file. Article 6: Delegates to people's congresses, members of the Chinese Political Consultative Conference, people's supervisors, expert consultation committee members, and persons from all walks of life may recommend prospective guiding cases to the people's procuratorate handling the case or the people's procuratorate at the level above. The people's procuratorates accepting the recommendations shall promptly give the recommenders follow-up information on the prospective guiding cases. Article 7: The Supreme People's Procuratorate's Law and Policy Research Office is to coordinate the work on beginning, reviewing, publishing, and cleaning up guiding cases. Each procuratorial division and the Law and Policy Research Office of the Supreme People's Procuratorate are to divide labor of researching and drafting guiding cases. Each procuratorate division is to research and draft guiding cases within the scope of its duties, and the Law and Policy Research Office is to research and draft guiding cases that involve multiple divisions' operations or special topics directed by the Procuratorate's leaders. 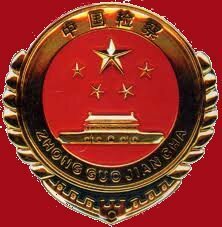 Article 8: In researching and drafting guiding cases, each procuratorial division and the Law and Policy Research Office of the Supreme People's Procuratorate may solicit the opinions of the work line, related internal bodies, their operational counterparts in the relevant organs, and people's congress delegates, experts, scholars, and others. Article 9: The Supreme People's Procuratorate is to establish a Case Guidance Work Committee. The Case Guidance Work Committee is to be composed of the deputy procurator general of the Supreme People's Procuratorate who is charge of the Law and Policy Research Office, full-time members of the Procuratorial Committee, the persons in charge of some of the procuratorial divisions or experts on nation-wide procuratorial work, and experts from the legal academy. Prospective guiding cases that are submitted to the Procuratorial Committee for deliberation shall be approved after discussion by the Case Guidance Work Committee. The Case Guidance Work Committee shall periodically study case guidance work, and make an annual report to the Procuratorial Committee on a special topic. The Law and Policy Research Room is to undertake the daily work the Case Guidance Work Committee. Article 10: Where any procuratorial division or the Law and Policy Research Office of the Supreme People's Procuratorate finds that solicited cases meet the requirements for selection as prospective guiding cases, they shall write them in the style and format of guiding cases and after sending for the approval of the deputy chief procurator in charge, submit them to the Case Guidance Work for deliberation. Article 11: Where the Case Guidance Work Committee agrees to the selection of prospective guiding cases and requests the procuratorial committee review them, the department undertaking the work shall make revisions to the prospective guiding case in accordance with the comments of the Case Guidance Work Committee, send it for review to the law and policy research room, and after further revision in accordance with the review comments, sent it to the chief procurator to decide whether to submit it to the procuratorial committee for deliberation. Article 12: When the procuratorial committee deliberates prospective guiding cases, the department undertaking the work is to report on the research and drafting of the case, and put forward suggestions on publicity and training for after the case is published. Article 13: When the procuratorial committee adopts guiding cases after deliberation, the department undertaking the work shall make revisions and improvements in accordance with the deliberation comments and send it to the law and policy research room for legal drafting and a uniform index number, and then send it to the chief procurator for review, who will sign and issue it. 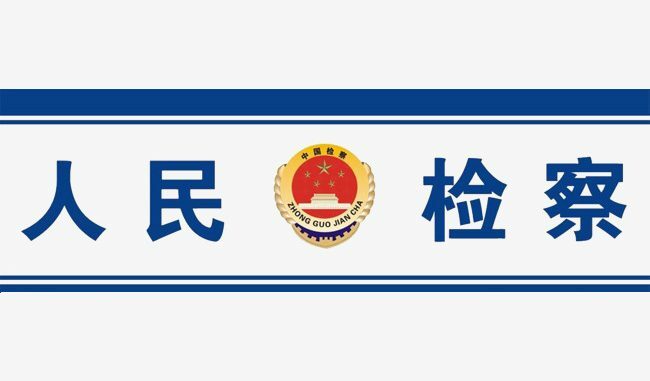 Article 14: Guiding cases published by the Supreme People's Procuratorate shall be published on the "Gazette of the Supreme People's Procuratorate" and the official website of the Supreme People's Procuratorate. Article 15: In handling similar cases, all levels of people's procuratorates shall consult guiding cases, and may quote the relevant guiding cases to interpret the law and explain reasoning, but they must not be used in place of law or judicial interpretations to serve as the direct basis for case-disposition decisions. When each level of people's procuratorate's procuratorial committees review cases, the procurators undertaking the review shall report whether there are any related guiding cases, and explain any reference or application of them. Article 16: The Supreme People's Procuratorate is to establish a guiding cases database, to facilitate all levels of people's procuratorates and the public in their searching, queries, and reference and application of guiding cases. Article 17: All levels of people's procuratorate shall include guiding cases in their operational trainings, strengthening learning applications for guiding case. Article 18: The Supreme People's Procuratorate shall strengthen communication with the relevant organs in conducting case guidance work. When necessary, it may consult the relevant organs to jointly release guiding cases that involve common issues on the application of law. (4) Other circumstances where it should be declared ineffective. Declarations that guiding cases are ineffective are to be decided upon by the Supreme People's Procuratorate's Procuratorial Committee. Article 20: These Provisions come into force on the date of printing and issue.